Thousands of people paid their respects to 45 year-old murdered father-of-two Ian Ogle at his funeral on Monday. Here are a selection of photographs from the funeral. 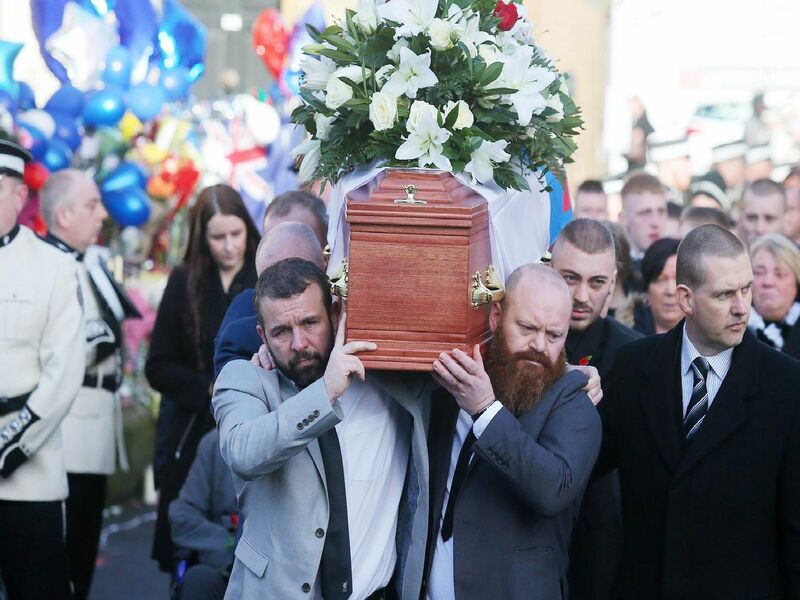 Photograph from the funeral of murdered Belfast father-of-two, Ian Ogle.